The Wall Street firm’s trading unit is improving but far from its glory days. Its new retail bank, by contrast, is bursting with growth, deal flow and impressive new hires. While Marcus won’t add much to the bottom line for some time, it’s a welcome breath of fresh air. 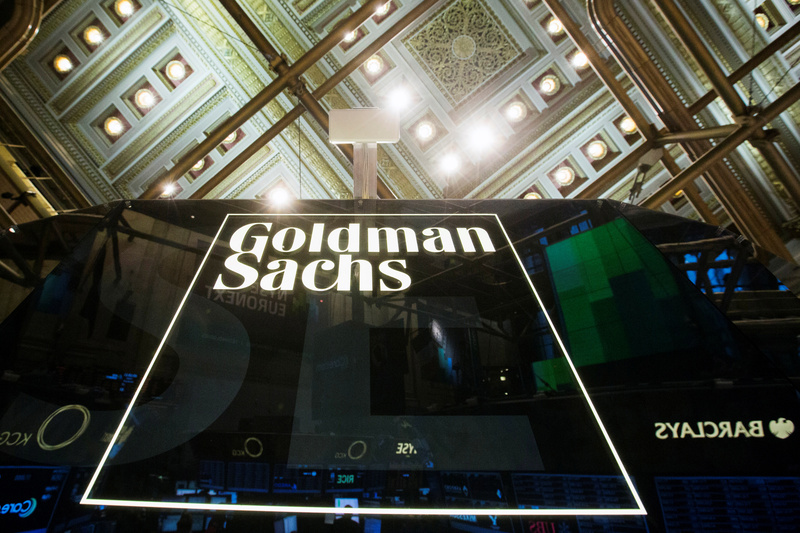 A Goldman Sachs sign is seen above the floor of the New York Stock Exchange shortly after the opening bell in the Manhattan borough of New York January 24, 2014. Goldman Sachs on April 17 reported first-quarter net income of $2.8 billion. At $6.95 a share, earnings beat the consensus estimate of sell-side analysts of $5.58 a share. Revenue of $10 billion exceeded the estimated $8.7 billion. Annualized return on equity for the first three months of the year was 15.4 percent. The company’s effective tax rate was 17.2 percent. Goldman Sachs on April 15 said its retail banking and lending unit, Marcus, has agreed to buy personal finance startup Clarity Money. The company, which offers a free app with financial tools to help people manage their finances, was founded by entrepreneur Adam Dell and launched at the start of 2017. It already has 1 million users. Some 25 Clarity Money employees will join Marcus. Dell, whose brother Michael founded computer company Dell, is joining Goldman as a partner.